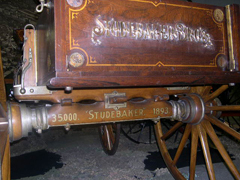 In 1893, Studebaker built this award-winning wagon as part of their display at that year’s Columbian Exposition in Chicago. 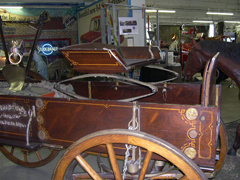 The wagon is often referred to as the “Aluminum Wagon” since all the hardware was made from that metal. At the time, aluminum was a rare and precious commodity, seldom used and extremely expensive. 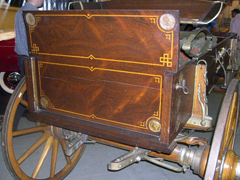 The box of the wagon is rosewood and it is inlaid with many of the presentation medals won by Studebaker in the 1800’s for quality work and innovative vehicle design. 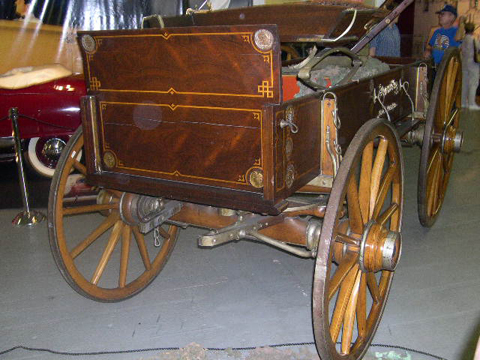 The cost to create this wagon in 1893 was $2,110.68. With the cost of a farm wagon in those days averaging $130, this showpiece clearly reinforced an impressive exhibit. Over the years, it has been preserved and protected as a dramatic symbol of premium 19th century craftsmanship. 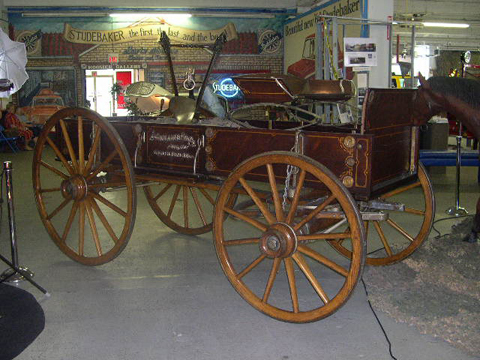 This original vehicle can be viewed at the Studebaker National Museum in South Bend, Indiana.